Reach-In Coolers, Winter Haven, FL | Johnson's Mechanical Inc. Reach-In Coolers, Winter Haven, FL | Johnson's Mechanical Inc. Whether your reach-in coolers need a minor repair or haven’t had routine maintenance in some time, our experienced professionals are equipped to assist you in Winter Haven. Have you ever opened the door to a reach-in cooler, only to discover that your refrigerated items aren’t cold? Are your reach-in coolers sweating to keep the right temperature and you know they are working overtime? At Johnson’s Mechanical Inc., we know that your business relies on commercial refrigeration units to provide cold items to your customers safely and efficiently. So, when you are experiencing problems with your reach-in coolers or other refrigeration units in Winter Haven, Florida, we are ready to assist you. Whether your reach-in coolers need a minor repair or they haven’t had routine maintenance in some time, our experienced professionals at Johnson’s Mechanical Inc. are equipped to assist you. We’ll troubleshoot any problems, provide the necessary repairs, and ensure that your reach-in coolers are in good shape going forward. We can also discuss if your coolers have reached the end of their life and should be replaced to give you a more efficient and cost-effective solution. You and your customers will see the difference when you keep your reach-in coolers in good condition, and the only team you need for the job is ours at Johnson’s Mechanical Inc. We service all makes and models when it comes to residential and commercial heating and cooling units, and we’ll be happy to discuss whether a preventative maintenance plan will best meet your needs. Contact us today to learn more about our services and to schedule an appointment. 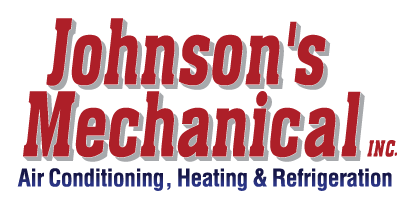 We truly believe you’ll see the difference when you choose Johnson’s Mechanical Inc!